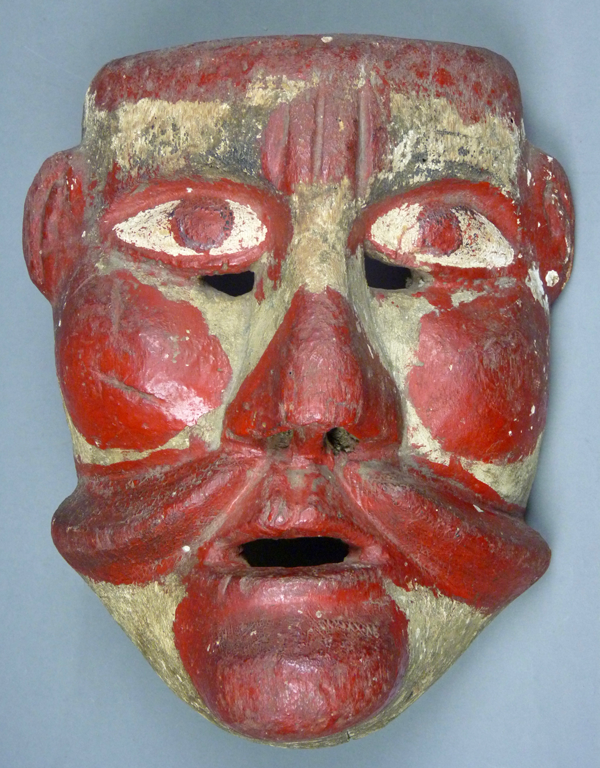 Today we will continue to look at Moro masks from the State of Mexico, two with red faces while the third has a flesh colored complexion. I bought this first one from René Bustamante in 1994. It was said to be a Moro Pasion mask from Tlatepec, in the State of Mexico, but I could not find such a place, except for an imposing mountain of that name. Maybe it is actually from Santiago Tlacotepec? It reminds me of red Moro masks from Guerrero. This is a wonderful mask. I particularly like the figure eight shaped mouth (or beaked mouth), which suggests the emotion of terror. 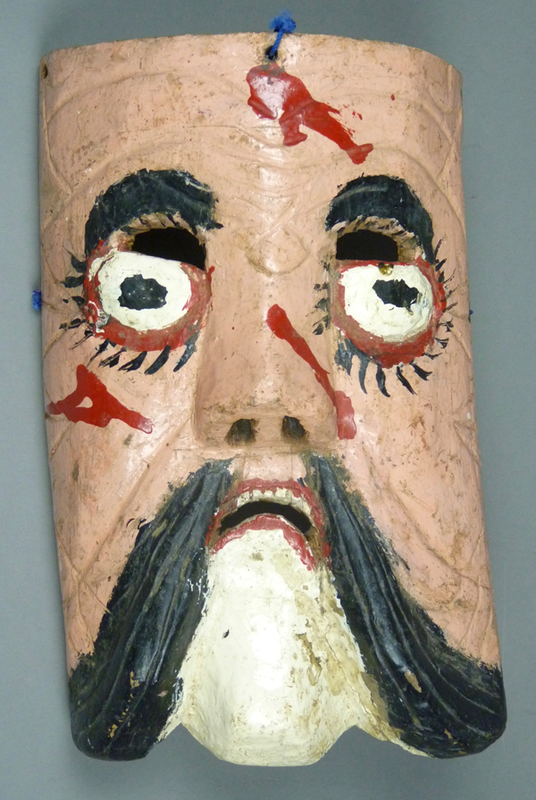 This is another example of the observation that Moor masks are sometimes depicted with expressions of fear, as if they view their Christian opponents as particularly powerful. After all, the Moros y Cristianos Dance was brought to the new world as an educational device, to assist the missionaries as they preached the power of the Christian God. This is an old, heavily worn mask. I got the next mask from Jaled Muyaes and Estela Ogazón, in 1998. This Red Moor, also from an unspecified town in the State of Mexico, is even more fabulous than the last. It was probably collected in the field in the 1960s, and it may have already been 10 or 20 years old, judging from the patina. This is a large mask of vivid appearance. Again we see an anxious mouth. 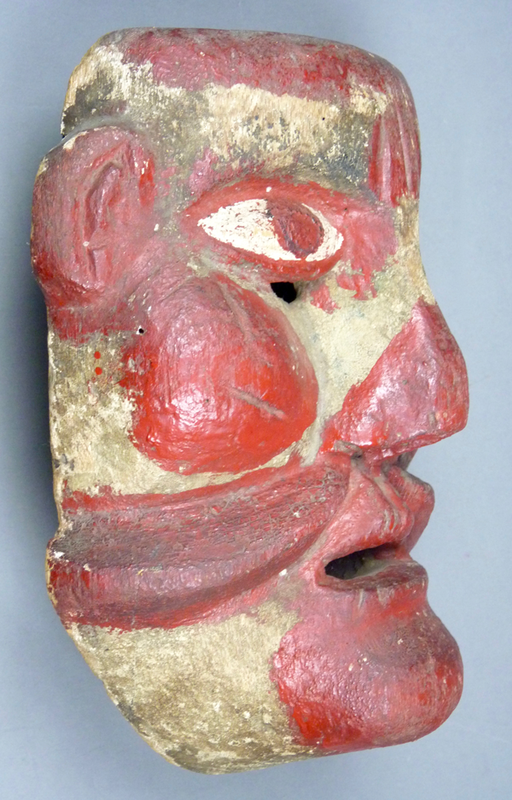 This mask is inches 10½ tall, 8¾ inches wide, and 3½ inches deep. 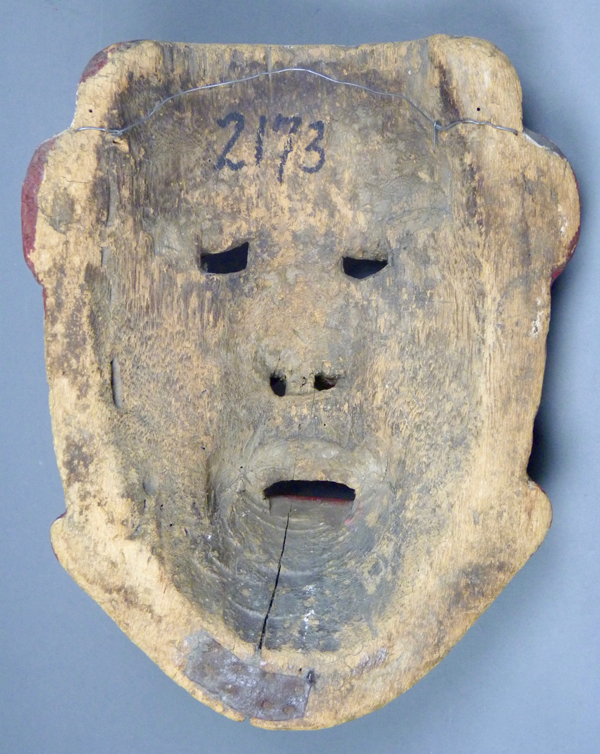 The number 2173 on the back means that this mask was in the 1981 show in Mexico City that was drawn from the collection of Jaled and Estela. The back is very darkly stained, suggesting many years of use. Note the old metal repair on the back edge to stabilize a crack. The third mask is shallow and crooked, as was the Calavera in last week’s post. 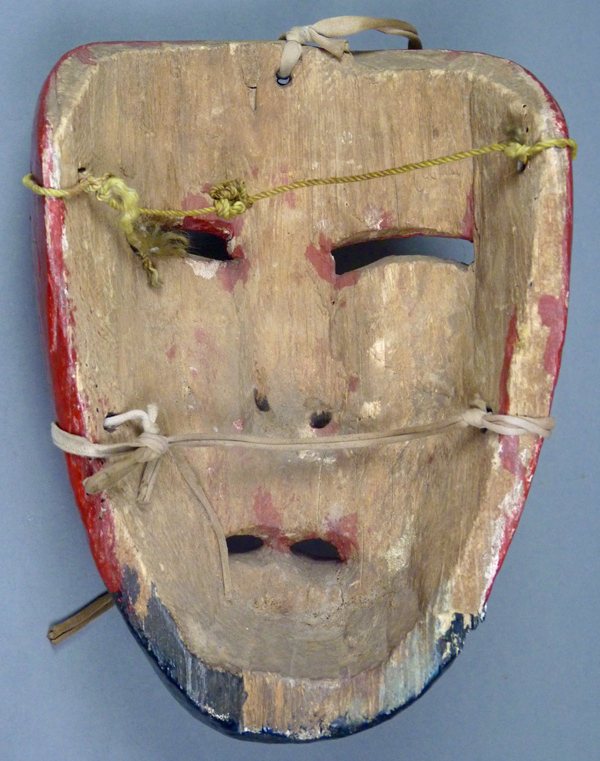 I got this mask from René Bustamante in 1994. He reported that it was a Moro from the State of Mexico. 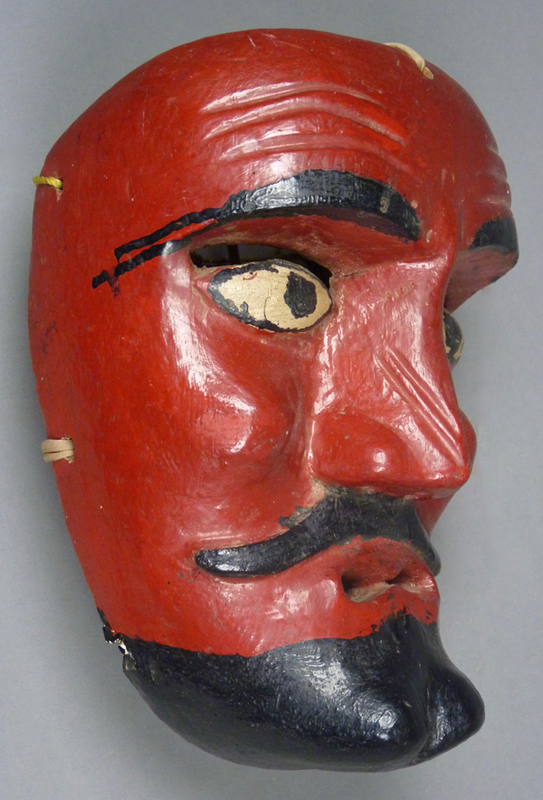 This is an unusual mask, so perhaps the work of an amateur. It has the frown and wounds of a Moor character. This mask is 11 inches tall, 7 inches wide, and 3 inches deep. 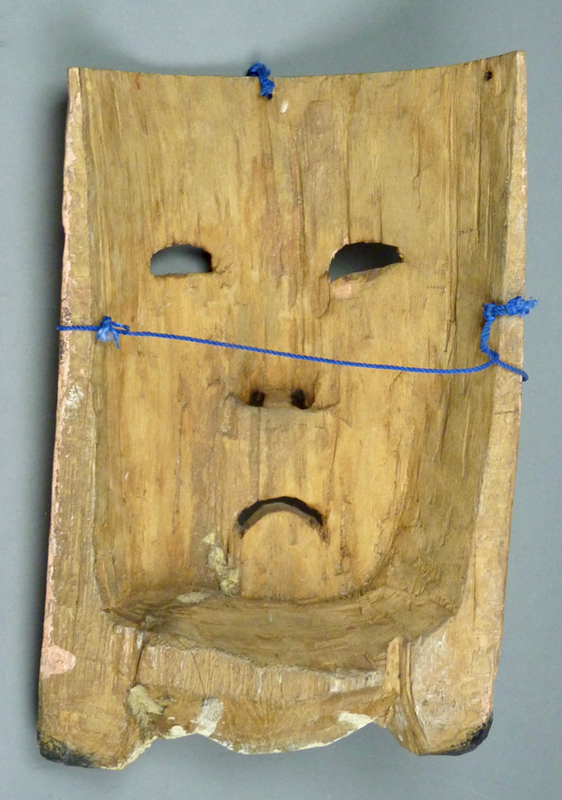 The back of this mask is moderately stained, but this is not so obvious because it was made from very pale wood. 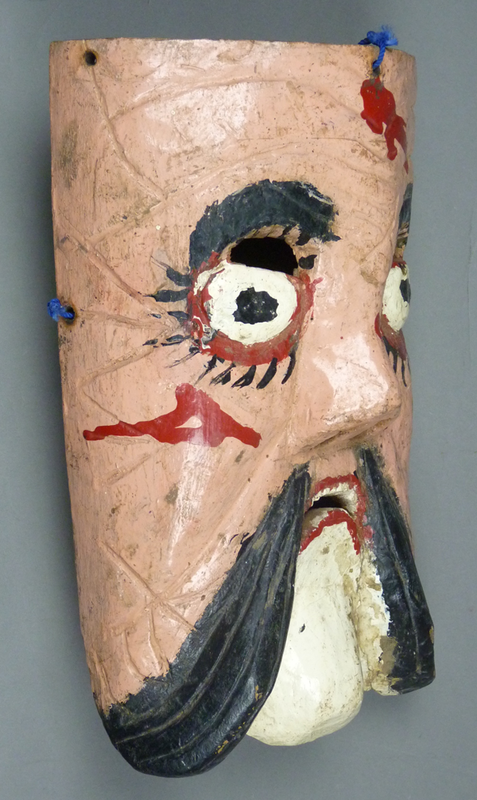 Next week we will continue to look at a variety of Moro masks. Yes there is quite an overlap between all the different variations of the Moros y Cristianos, Santiagueros, Conquest, Doce Pares because all involve Spanish conquistidors or their equivalents, in conflict with the Moors or the Indians, identified as such or presented with misdirection. 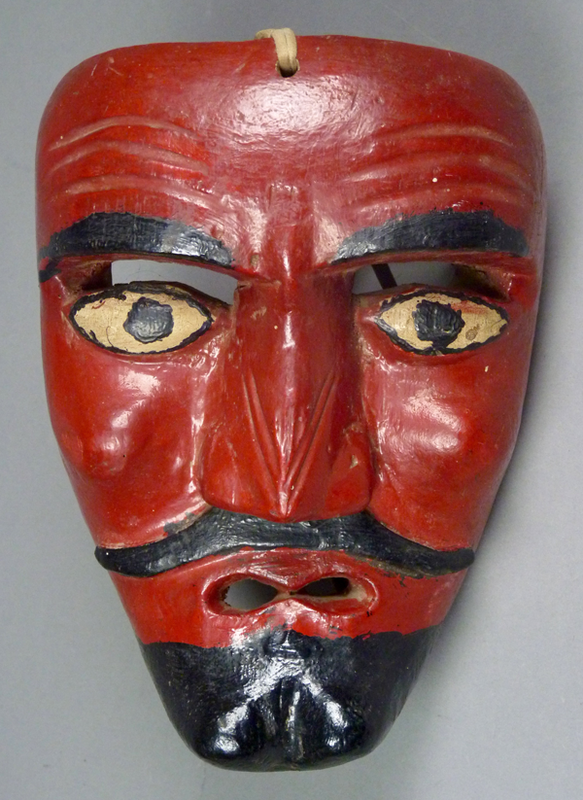 I have a couple of masks with no history but they may well be Moro. Can I email images for comment?